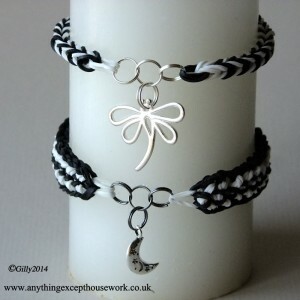 Loom bands – love them or hate them, at least they are keeping children busy during the school holidays! And it isn’t just kids who are going Loom Band crazy, it’s mums too and even dads, Grandmas and Grandads. Everyone is getting in on the act! So this is my spin on making Loom Bands slightly more personalized and different to plain bracelets with plastic S or C clips holding them together. I’ve been adding metal to mine by using split rings and Tibetan Silver charms. I have been using two, three or four split rings on most Loom Band bracelets to get them to hang nicely. I prefer split rings to jump rings because they can’t come part and fall off. And I use silver, gold or black depending on the main colors in the bracelet or necklace I am making. 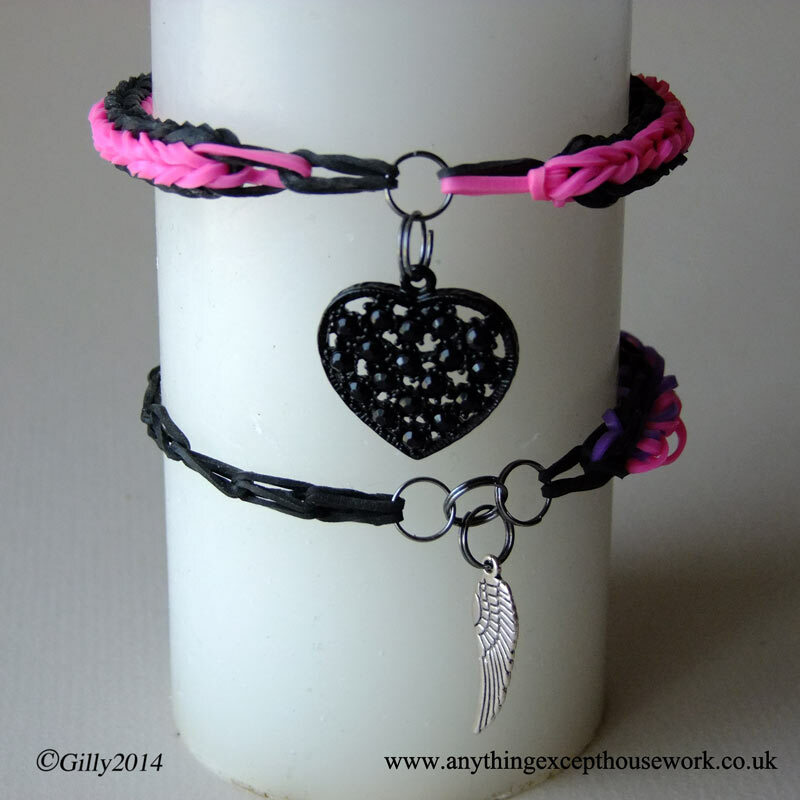 As I sporadically make all kinds of jewellery, I have hundreds of metal charms stashed away in my craft collection – so I had loads to choose from to add to my Loom Band bracelets and necklaces. You can find some brilliant metal charms for your Loom Bands creations by following the links below. And for some great ideas on how to turn a pile of Loom Bands into funky creations to color co-ordinate with your wardrobe, check out this fantastic new book by Kat Roberts and Tessa Sillars-Powell which is due out on August 20th 2014. 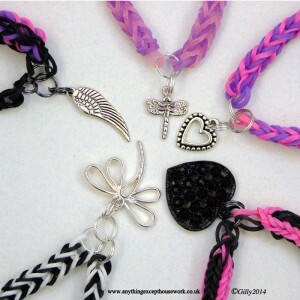 It is a brilliant resource for everyone from beginner to more advanced and even has tips for how to make Loom Band jewellery on the move. Or these other super books to help you be the envy of your friends. Using split rings to attach your charms is the key to success as it is difficult to get the bands through some of the charms and they hang much better from split rings. You can get a variety of split rings by clicking on the links below. I mainly use 9 or 10mm rings in my projects but the size you order depends on what look you want and how big your charms are. For help adding your split rings and charms to your Loom Bands, I have found the split ring tweezers above are a huge help and save your nails! 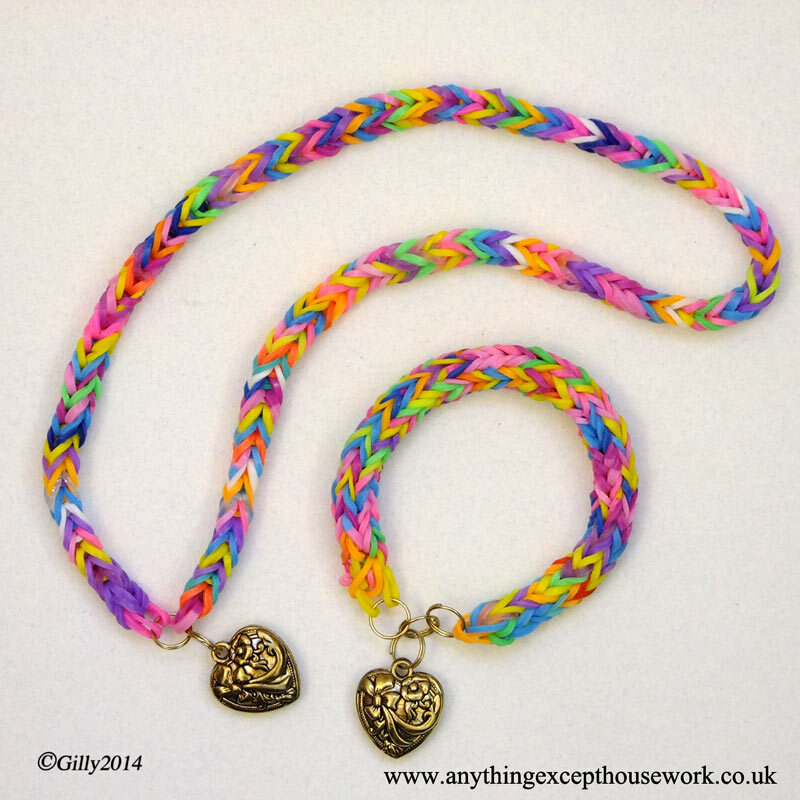 Have fun with Loom Bands! 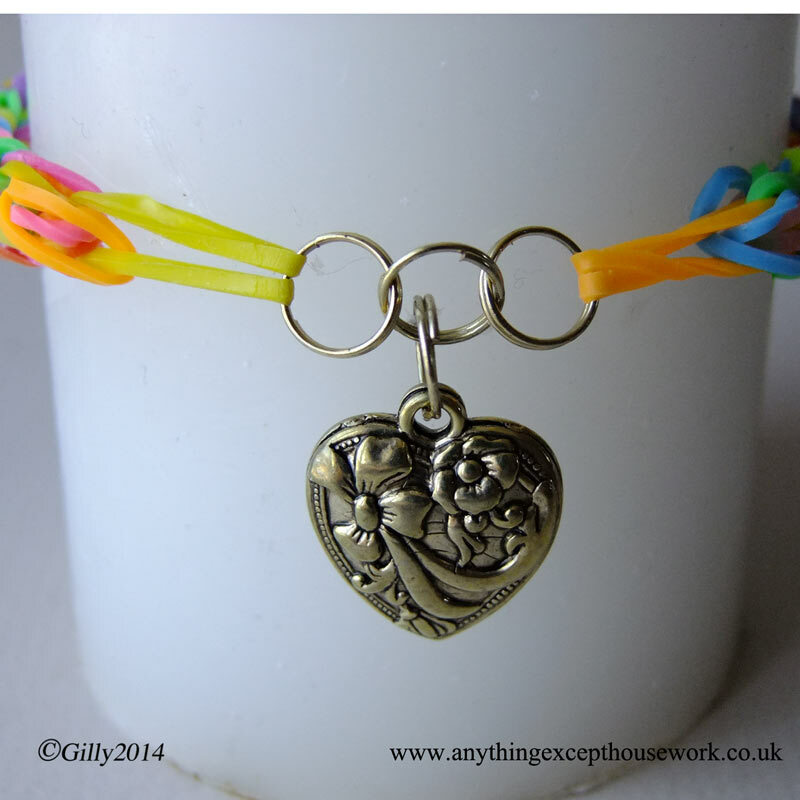 Previous Previous post: Loom Bands – Brilliant New Book!